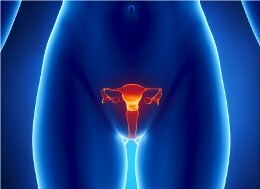 Cancer of the ovaries is the fifth leading cause of cancer-related death among women in the United States. An estimated 15,460 women died from the disease in 2011, and almost 22,000 new cases were diagnosed1. Ovarian cancer is sometimes called the silent killer because many patients are without symptoms until the disease is quite advanced. While there has been some progress in the treatment of ovarian cancer in recent decades, only 10-30% of women diagnosed with advanced (stage III or IV) disease are alive 5 years after diagnosis2. New treatment options are therefore critically needed to prolong the lives of women with advanced ovarian cancer. To actively participate in System ENABLE™, please share your insights and perspectives below. © 2012 The Science of Cancer by the Angiogenesis Foundation. All Rights Reserved. This site best viewed in Firefox 3.5+, IE 7.0+ and Google Chrome.